Adventure and discovery awaits the young explorer who ventures through our classrooms. Walking through each classroom you see innovative learning materials that develop self-expression and pre-academic skills. Our classrooms are very well equipped to make academic preparation fun for everyone! 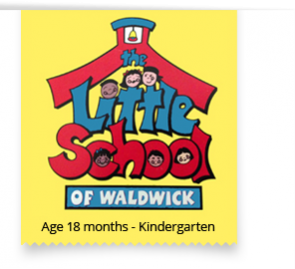 The Little School of Waldwick has five thematic classrooms: A large spacious indoor gym, a math and language arts room with it’s own little library, a science room, a creative play room, and an arts and crafts room. In addition to our specialty rooms our outdoor play area completes your child’s home away from home. All students along with their assigned teachers and classmates are afforded the opportunity to visit each of the thematic classrooms. These specialty classrooms enriched with an abundant amount of materials pertaining to the subject matter of the room along with teacher guided lessons and child-initiated activities provide a unique learning experience beyond any conventional preschool. Applauded by early childhood experts worldwide, this unique program provides every child with an array of rich experiences and mediums to develop to their fullest potential. From this strong academic, social and artistic foundation each child will, grow, learn and explore their horizons. The Little School of Waldwick also has full day Kindergarten!